(July 14, 2005) This week the news will be all about the British Open, the oldest golf tournament in the world played on the most historic course of all – the Old Course at St. Andrews, Scotland. There will be no women golfers in the Open this year, but next year may be different. This article will help you understand the role of women in professional golf tournaments and why they are increasingly in the headlines. Another route to the British Open is through winning a prior tournament such as the Masters or a PGA Tour event. In fact, if Michelle Wie had won the PGA Tour’s John Deere Classic last week, she would have been invited to the British Open and would have been the first woman ever to play in it. The British Open is one of the four “major” tournaments that men have historically competed in. (The others are the PGA Championship, the Masters at Augusta National, and the U.S. Open.) The women expert golfers have their traditional majors also: they are the LPGA Championship, the Kraft-Nabisco Championship, the U.S. Women’s Open and the Weetabix Women’s British Open (organized by the Ladies Golf Union of Britain). Let’s start with the principal tour for professional women golfers – the LPGA Tour. The LPGA stands for Ladies Professional Golf Association and is the longest-running women’s sports association in the world. The LPGA is a “ladies” golf association. Under its charter, men may not join. The LPGA was founded over 50 years ago by a group of dynamic and talented women golfers including the famous Patty Berg. 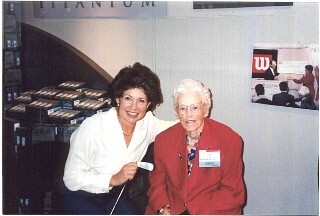 My first set of golf clubs were Wilson’s Patty Berg signature clubs – hand-me-downs from a friend. For some reason, I held on to the putter from that set (old putters still get lucky), and a few years ago I asked Patty to sign it. Now the putter is hanging on my wall as a special treasure. The LPGA has two major divisions – the Tour division and the Teaching and Club Professional Division. Famous golfers like Nancy Lopez and Annika Sorenstam achieved their fame and popularity playing in LPGA Tour events, such as the Kraft-Nabisco tournament in Rancho Mirage, California. The LPGA Tour is very international. Many LPGA Tour events are played outside of the U.S. and the women competitors come from many countries. See the schedule on www.lpga.com. In order to play on an LPGA Tour event, a female golfer must be 18 or over, declared herself a “professional” and have demonstrated the required skill through previous tournament play. (Amateur golfers are not allowed to accept prize money or commercial endorsements.) There will certainly be pressure on the LPGA to modify its rules if MichelleWie decides she wants to turn professional at the age of 16. You are probably wondering how younger amateur players like Michelle Wie and Morgan Pressel compete on the LPGA Tour. (They both played in the March 2004 Kraft Nabisco LPGA tournament and the recent U.S. Women’s Open.) The answer is that almost every LPGA Tour event allows the sponsor – such as the Kraft-Nabisco company -- to invite women golfers who otherwise might not qualify. It is this “exemption” or “exception” process that allows younger amateur golfers to compete on the LPGA Tour or in USGA tournaments. A similar exemption process exists for PGA Tour events explained below. In addition to the Tour events of the LPGA, there is also the LPGA Teaching and Club Professional Division, which is led by my friend, Dr. Betsy Clark, Vice President of Professional Development. There are only about 1200 female LPGA instructors. It is difficult to get accepted to the program; so, when you link up with an LPGA teaching pro, consider yourself fortunate. The LPGA is managed by a Commissioner. Over the LPGA’s fifty year history, there have been only five Commisioners and all of them have been men. The most recent, Commissioner Ty Votaw, recently announced that he will resign in September 2005. The new Commissioner will be Carolyn Vesper Bivens – yes, a woman! Read more about Carolyn on http://www.lpga.com/content_1.aspx?mid=4&pid=4104. What about the PGA Tour? The PGA sponsors many golf competitions at the regional level and one major national competition -- the PGA Championship. In August,, the PGA Championship will be played in New Jersey at the Baltusrol Country Club. To read more about the coming PGA Championship, click http://www.pga.com/pgachampionship/2005/. The PGA also sponsors the Ryder Cup team matches played alternately in the U.S. and Europe. (The LPGA sponsors a similar women’s team event called the Solheim Cup. The PGA Tour sponsors about 20 major tournaments each year – many are televised and net proceeds are donated to charity. And that brings us back to Michelle Wie and her participation in the John Deere Classic. Michelle was given a sponsor’s exemption to this PGA Tour event. This is the third PGA Tour event that Michelle has played in. She played in two Sony Opens (also PGA Tour events), but did not play well enough in the early rounds to make the “cut” for the final two rounds. Unfortunately, she didn’t make the cut in the John Deere Classic either, but she is very positive that it will happen in her next PGA Tour event. What about the USGA sponsored U.S. Women’s Open? The USGA is organized to maintain the rules of golf in the U.S. (including the Handicap System) and to promote fair competition. Its members are golf courses and individual golfers. See www.usga.org. The U.S. Women’s Open – sponsored by the USGA, is one of the most famous women’s tournament. This past June, Michele Wie (age 15), Morgan Pressel (age 17) and Brittany Lang (age 19)– all amateurs -- played in the U.S. Women’s Open in Cherry Hills, Colorado. Morgan and Brittany tied for second place. 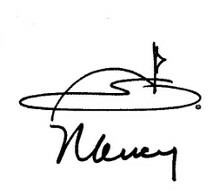 If you are interested in more history about women golfers, see the Women’s Golf History Timeline on my website http://www.nancyberkley.com/774892.html. How to Attend a Golf Tournament? It’s easy. Visit the website for the event sponsor such as the LPGA, PGA, PGA Tour or USGA. There you will find a tour schedule and links to the specific tournament. Contact the tournament via email tickets. At many tournaments, tickets may be purchased at the entrance. Daily tickets for most LPGA and PGA Tour events not expensive (under $50 per day). However, a few like the PGA Championship are very expensive -- $90 on the final days. When you go to a tour event, be prepared to walk and to sit on the grass. Also, cameras are prohibited (except for the press) at most tournaments as are backpacks or big pocketbooks. It’s best to travel light and comfortable. I guarantee that you will learn something about your swing from attending an actual tournament and following the experts around the course. And, you will definitely have fun!